A new batch of over 130 images from Central Carolina Community College have now been added to DigitalNC. This is our seventh set of photos and it brings our exhibit A Pictorial History of Central Carolina Community College to almost 3,000 photos! 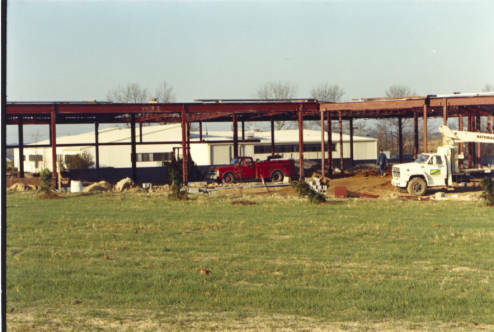 Much of this set is about the various buildings around CCCC, including the construction of the CCCC Pittsboro campus, the construction of the CCCC Etheridge High Tech building, and the planning and construction of the CCCC Harnett County campus. 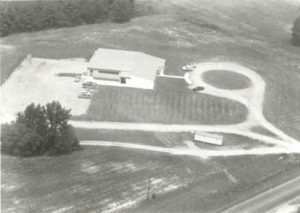 Also included are photos of the NC School of Telecommunications, the Harnett Correctional Institute, and several aerial photographs taken of the CCCC Campus in Harnett County. To learn more about Central Carolina Community College, please visit their contributor page or their website. To see more photos like this, check out A Pictorial History of Central Carolina Community College Collection and the Images of North Carolina Collection.